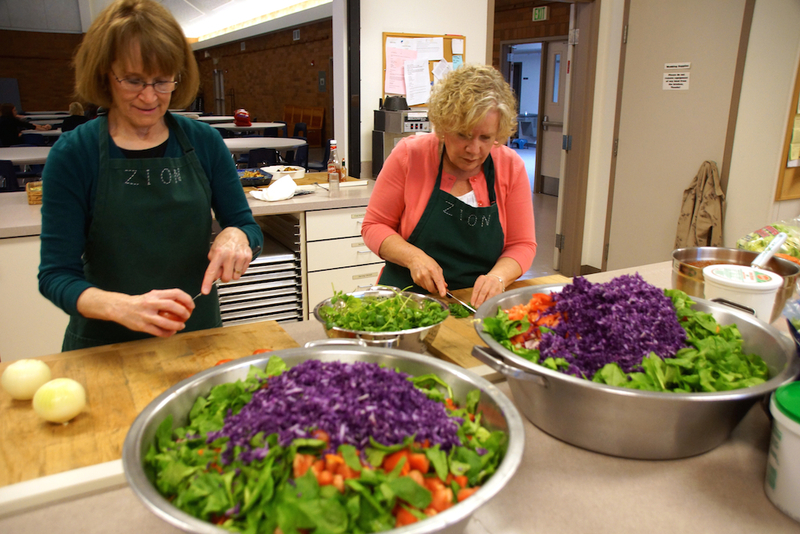 Bridging Cultures History: In 2000, a small group of people began making lunches and passing them out on Saturdays to neighbors living in the apartment buildings on Cedar Street and Locust Street in Canby. Since then, we have had a presence in this neighborhood nearly every week, distributing over 80,000 lunches as well as Christmas trees, produce, summer camp scholarships, pumpkins and school backpacks. Amidst all of the food and fun the real goal has always been to build relationships across cultural and economic boundaries. Often, when we see people in our community who are different from us, it’s natural to feel nervous or fearful. Sometimes we just don’t know what to say, especially when language is a barrier. In recent years, we’ve reorganized to better align our activities with our goals of building mutually transformative relationships, forming the nonprofit organization Bridging Cultures in 2010. 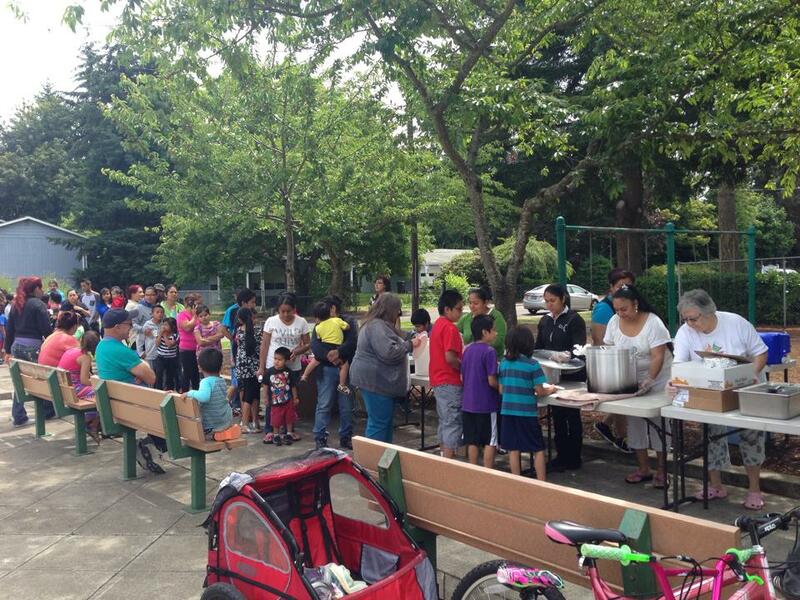 We continue to distribute lunches, but we also host picnics in Locust Street Park every other weekend. Some of us barbecue hot dogs and others fry up carne asada. Before these events started, some of us lived in the Canby area for years without visiting the Locust Street neighborhood—now we have a reason to be there. We also offer camp scholarships for children who might otherwise spend the entire summer in town. We organize periodic events for members of the Latino community to learn about their rights and responsibilities here, and for the Anglo community to learn more about their Latino neighbors. 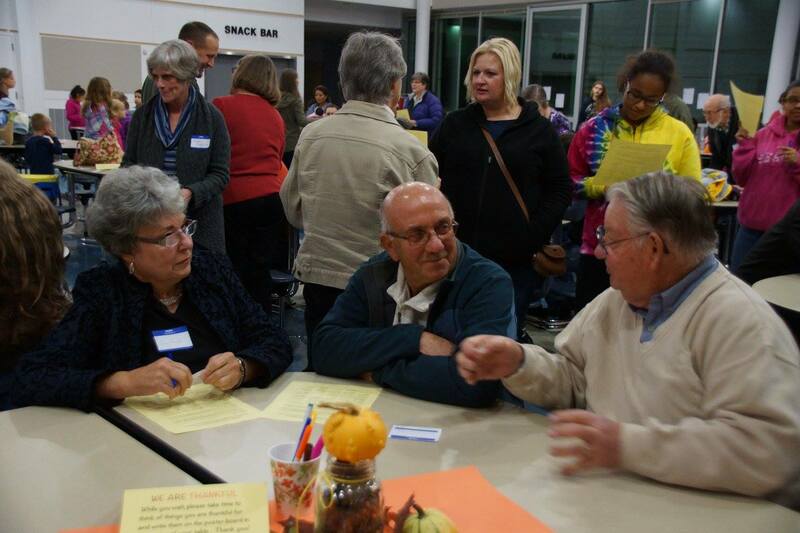 We’ve hosted meetings where we listen to people’s needs and concerns in the Locust Street neighborhood. We’ve also hosted three Intercultural Thanksgiving meals at Baker Prairie Middle School, bringing people together from a variety of backgrounds. Our organization’s roots are in sharing. We’ve come together to share sandwiches, carne asada, music and a sense of fun, we’ve also found ourselves enriched with new flavors, new friendships and a new perspective on our changing community. To strengthen our community by bridging cultures through mutually transformative relationships. – A community where everyone feels secure and free to practice their potential. – A community that embraces diversity. – A community where everyone can feel at home. Make a Difference: Bridging Cultures is a 501(c)3 organization, so your contributions are tax deductible. To give, please visit www.bridgingculturescanby.org where you can donate by credit card, or make your check payable to Bridging Cultures and mail it to 975 S. Elm Ct., Canby, Or 97013. 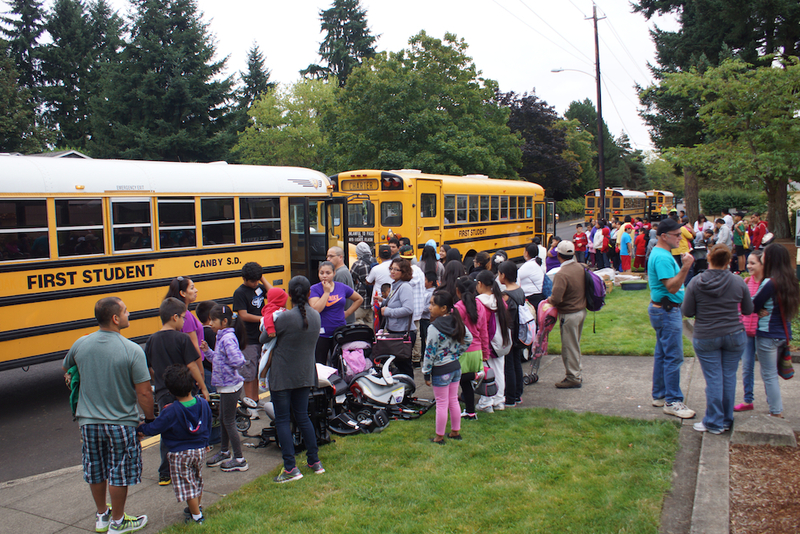 We often partner with other organizations, including Zion Mennonite Church, the Canby Public Library, Canby Police, Canby Parks and Recreation, Canby School District, Mennonite Central Committee and the Canby Center.